M.B.E. London Gazette 1 February 1945. Order of Orange Nassau, Fourth Class London Gazette 19 February 1946. 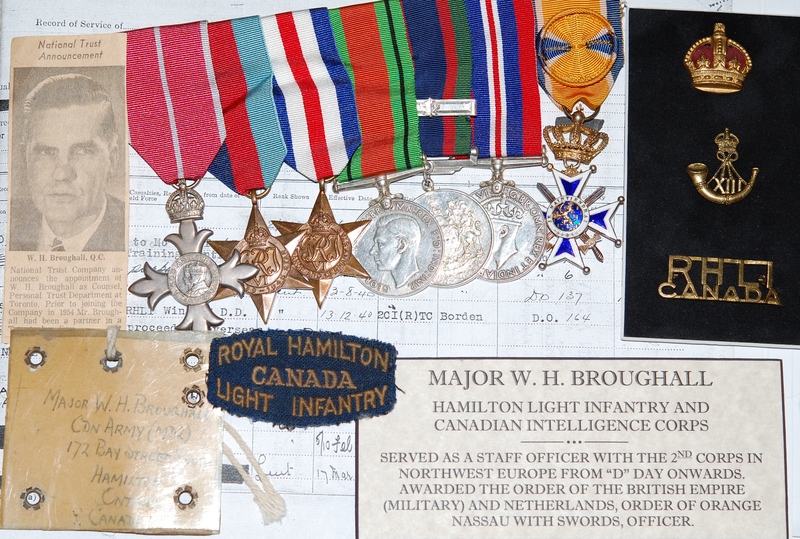 Wilmot Hagerty Broughall was commissioned Second Lieutenant in the Royal Hamilton Light Infantry on 1 June 1940 and promoted Lieutenant on 23 August of that year. 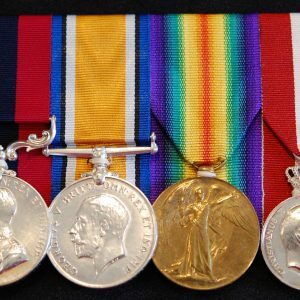 He proceeded overseas for Second World War service from Halifax, Nova Scotia on 16 December, arriving in the United Kingdom on 26 December 1940. Promoted Captain in December 1942, and Major in November 1943, he landed in Normandy on 28 June 1944 as a General Staff Officer Second Class (Intelligence) at Headquarters, 2nd Canadian Corps. 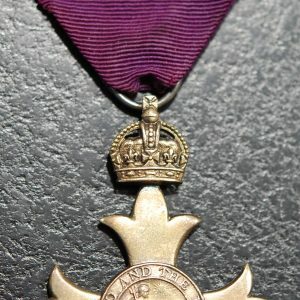 He served in France, Belgium, Holland, and Germany during the operations on north-west Europe, and was awarded the Dutch Order of Orange Nassau and created a Member of the Order of the British Empire. He arrived back in Canada at the end of September 1945, and rejoined the Royal Hamilton Light Infantry. 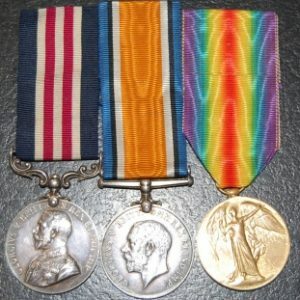 Sold together with a recipient’s identity tags; perspex covered hanging label containing the recipient’s name and address in Hamilton, Ontario; R.H.L.I. 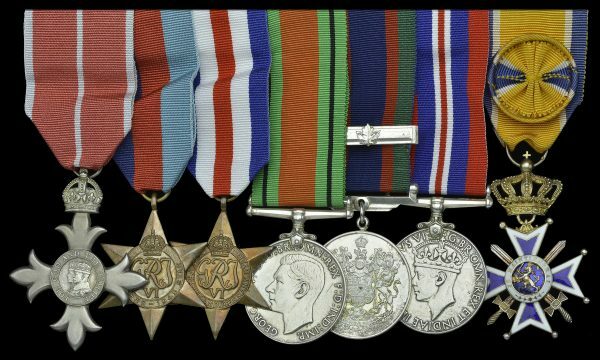 Canada shoulder titles; XIII Light Infantry collar dogs; the recipient’s riband bar; various XIII officer’s tunic buttons and rank insignia; and a newspaper cutting containing a photograph of the recipient.